Crunchy malt balls are dipped in chocolate to make this traditional malt ball treat. A melt in your mouth candy, these chocolate treats are great as a snack or as a topping for ice cream sundaes. 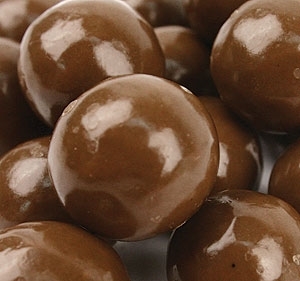 Better yet, these malt balls have a sweet chocolate taste without any added sugar!